Barack Obama, the president of United States, was born on August 4, 1961 to a black Kenyan father, Barack Obama Sr. And a white American mother, Ann Dunham. Barack’s father left him with his mother for Harvard. His mother remarried an Indonesian oil manager when he was six. Obama spent his childhood with his grandparents. His father stayed in touch with him though he visited only once when he was ten. While Obama was studying at Columbia University, he faced inescapable racial discrimination of New York. While still a student, he was chosen as a community organizer for a small Chicago church-based group and during the time, he would help poor, the South Side Residents to cope up with a wave of plant closings. Later, he attended Harvard Law School, and became the first African-American editor of the Harvard Law Review in 1990. He then became the teacher at the University of Chicago Law School. Eventually he was elected to the Illinois state senate. In 2004, he was elected to the U.S. Senate as a Democrat and represented Illinois. He achieved a wide national attention by delivering an inspiring keynote speech at the Democratic National Convention in Boston. After four years, in 2008, he prepared himself for the Presidency. 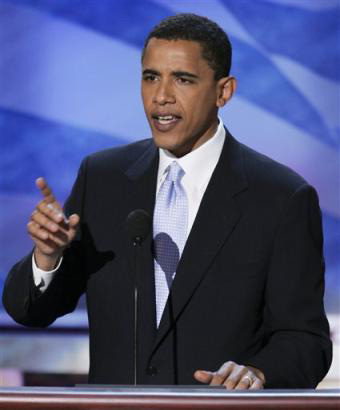 In January 2009, he won the election and became the first African-American to become the president of the United States of America.